Chemist Warehouse is Australia’s cheapest chemist with over 300 stores and 9,500 staff members nationwide. 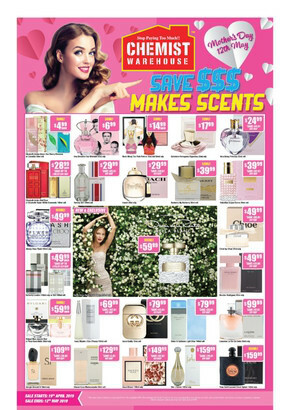 Shop Chemist Warehouse online to browse weekly ads and catalogues for all the best deals on fragrances, vitamins, weight loss products, skin care, baby care, and more. At Chemist Warehouse, aggressive pricing and large volumes of trade means you make great savings every day. Chemist Warehouse also promises to price match any identical item you find at a cheaper price from other Australian retailers. 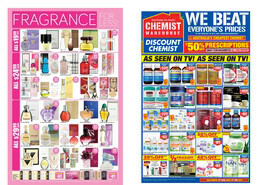 Chemist Warehouse won’t only match it; they’ll even give you 10% off the difference as well! If you spend $99 online at Chemist Warehouse, you won’t pay a single cent in shipping fees! A small flat rate of $8.95 is charged for orders under $99. And if you need your product delivered fast, express shipping is also available for your convenience. Visit Shopfully website or app for opening hours, store locations, and to browse the latest Chemist Warehouse flyer for great deals and savings.